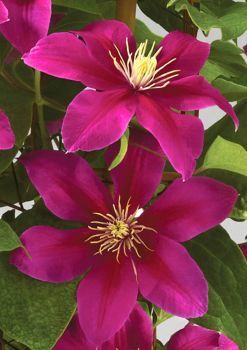 Patio clematis the boulevard Collection. 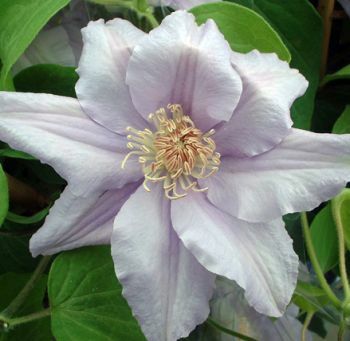 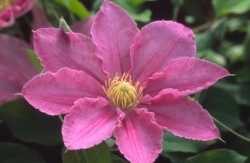 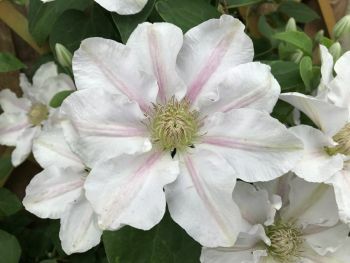 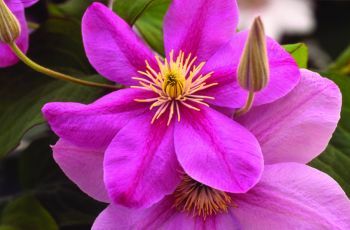 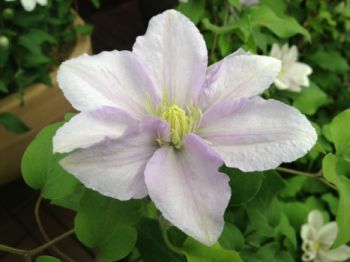 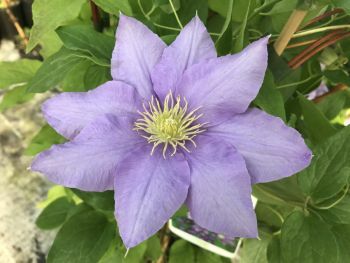 These Clematis have the ability to flower from the leaf axels and the ends of the stems ! 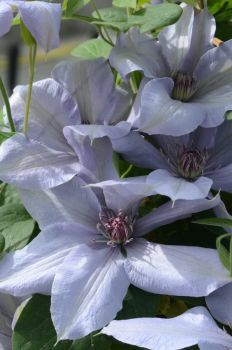 resulting in flowers right from the ground ! 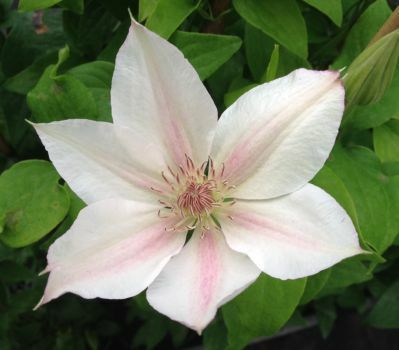 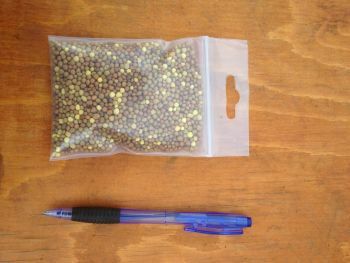 They also flower for 6 months of the year May - October, and are available in about 30 different colours from us now.